Raised within the Company, this electric blonde makes up in attitude and bravado what she lacks in things like people skills, day-to-day life skills, or normal experiences. An ex-Company agent, Elle's life is under her own control now. Now the question is: what will she do with it? Born to Bob Bishop, Elle was an only child, and got the majority of the attention in her formative years. Indeed, she could even have been called spoiled by the time her powers began to manifest at age nine. It all changed, then. Bob relied heavily on the Company, and when his very own daughter began to show the signs of an Evolved, his first and final reaction was to take her to them for help. "Help" devolved into tests. Many tests. Painful tests. Invasive tests. Under the guise of wanting to keep her safe and help her learn control over her - at the time - very unpredictable power, Elle was isolated in the Company itself. Her only socialization was with other agents, and as the daughter of one of the founders of the Company, she wasn't treated normally by even them. Indeed, "normal" was not a word in Elle's vocabulary. If it were to be put there, its definition would be twisted and tangled. Days, weeks, months, years of tests she had no control over, a power she could only partially control, an enviornment made for anything but a child. Puberty was the worst. With mood swings and hormone surges came surges of her power, uncontrollable and unpredictable. Security upon her increased, and with that, her isolation. It wasn't surprising that one of the Company's shrinks diagnosed her with sociopathic tendecies. Elle had very little ability to connect or interact with people; her main way being shocking them - literally - with her power. Her motives ranged from playful to sadistic with these shocks, but all in all, she was a very imbalanced teen. Understatement. Once Elle's powers were more under her control, she was recruited to the Company. She began doing small missions in order to train for a life as an agent. It was the only life she thought to have, the only kind of life she'd seen since the age of nine. 2006 had her first real mission: working with Noah Bennet on the Gabriel Grey case. She didn't remain an unseen agent to him, however - finding him trying to hang himself, she cut and talked him down. The two bonded then, and this was a bond that would hold through tumultuous events. She spent a great deal of time with Gabriel, watching him use his powers, waiting to catch him with a second victim. This was not an assignment she enjoyed, and she wasn't shy about voicing this opinion. However, when threatened with being cut off from the Company, Elle fell back into line. 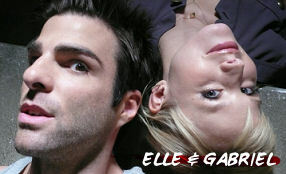 Willing or not, Elle was one of the things that bridged the gap between Gabriel Gray and Sylar. Elle kept to the plan, getting a young man into Gabriel's apartment and getting him to kill the man and take his power. It was then that her own power was revealed to Gabriel - now Sylar. This mission heralded Elle into life as an agent, and she clung to it as the only thing she knew. When one has very few - read, no - other options, choices are viewed in an entirely different light. The one to finally break through to her - however unintentionally - was Peter Petrelli. When he was kept in the Company's facilities, she formed a bond with him, and was the one to replace his Haitian pills with placebos and help him escape. It was then that she began to realize that the option that had terrorized her so thoroughly - leaving the Company behind - might be the only one she had if she didn't want to self-destruct. Elle's father halted her brief outing into the world outside the Company, luring her back with a mission of "great importance" that was, shockingly enough, far far away from Peter Petrelli and all the opportunities he came with. A decoy Elle took her place while she was gone, unbenownst to her. This was her father's solution to viewing one of Mendez's paintings, wherein Sylar kills Elle. The decoy lived Elle's life for her in New York City while she was gone, though the choices it made were most certainly not Elle's. In late September of 2007, however, the decoy was killed by Sylar, and the jig was up. The illusion that kept the decoy looking all Elle-like faded hours after her death, and Bob had some 'splainin' to do. Called back from her assignment, Elle's "death" was never truly explained to anyone. Instead, she was simply back, though Peter knew the truth. When she went to tell him, she was exposed to the Shanti virus, something she quickly became familiar with. In exchange for Cassandra Aldric's help with a cure, she passed on information regarding Victoria Pratt and her intentions to create a new strain of the virus. Gabriel - now Sylar - and Elle reconnect when she indirectly gave him Haitian pills to help him combat his power. Sylar kept her hostage for a time, but she managed to escape. A while after this, Sylar was once more Gabriel Gray in Elle's head when they spoke of their shared past and redemption. Come 2008, Elle is a reformed no-longer-agent. She tries to live a normal life, but the ability to do this was taken from Elle around age nine. Instead, she spends time in a safe house, returning to New York City with the help of Gabriel and Peter. At Maury's hands, she and Gabriel become trapped in their own minds when they pay a visit to Pinehearst in order to search for Elle's father. It's a visit she survives, but her father does not. With his death comes a death of part of her, and her recovery from this emotional blow is slow and unsteady. 2008 is a very spotty year, with interaction very low on her priority list. Elle never had been a social butterfly, given the circumstances of her upbringing. At least the isolation she was now swathed in was chosen, not forced upon her. She drifted further from her friends, further from human contact, until time simply became a blur. Elle fell into apathy, fell into oblivion, fell through the cracks of the world. It wasn't until 2010 that she made a reappearance in New York City - had she been there the whole time? Had she left for places unknown? No one knew. Welcome home, Elle! You're imprisoned now. How's that for a change? Thanks, Alpha Protocol. Luckily, there was a Prince Charming (a.k.a.) Max to free her from this, after a time. Isn't that always the way, Elle getting freed by some strapping young man? Three months after this rescue, Elle resurfaces from the world once more. Her whereabouts in the last three months are unknown to all. She'd simply dropped off the grid, to parts unknown. But it's summer and Elle is back, determined to lead a normal life. It'll happen this time. Really. No, really! 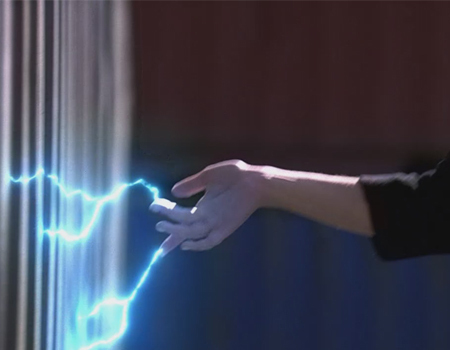 Elle's power allows her to manipulate electrical forces. This ranges anywhere from wielding sparks to perform small shocks, to sending powerful electrical blasts through the air, with enough force to knock people off their feet. The latter end of the spectrum takes a great deal of physical, mental, and most importantly emotional effort. Elle's powers seem tied to her emotions, ranging out of control when she is feeling something particularly strongly, especially stress, anxiety, or anger. She is able to wield her power with a good deal of finesse, and has exacting control over the smaller abilities her powers afford her. Elle prefers to use her hands to conduct her power, but any part of her body will suffice. Water is the key debilitator of her power; anything from a rain to a bucket of water will cause her power to backfire upon herself, with varyingly painful results. She is immune to the effects of her own power, with two exceptions: the first, if water is involved; the second, when her tension is running particularly high. In these situations, her own power will cause her pain. Shockingly Enough: Usually using her hands but any part of her body suffices Elle transmits a small shock to a person or object. This shock has the power to sting a person and when used upon objects can do handy things like power electrical objects weld ignite fires and other things that a normal electrical current can do. While Elle usually has control over this ability - in fact when at her most serene she can wield it with impressive finesse - when she is upset she often generates small shocks to anything touching her. Oh, Balls! One of her more powerful abilities this manifests in a ball of electricity that can be thrown hurled rolled or otherwise sent towards a target. This target can be human or inanimate though in her lifetime the former is more common. The intensity like with her projected bolt is varied the size and density of the ball also factors into how the person's body will react. Projection Is Everything: The most spectacular of her abilities Elle uses her body usually her hands - it looks the most dramatic that way to send a bolt of electricity into the air at a target. The bolt varies in intensity depending on Elle's concentration and emotional state but the force is often enough to send someone staggering if nothing else. Meeting Peter Petrelli in the Company facility was a turning point for Elle, in a sense, as she began to consider life in the real world and what it might hold for her. In a fit of guilt for what the Company was doing to him, she replaced his Haitian pills with placebos, allowing him to regain the use of his powers and escape the Company. In return, Peter took Elle with him when he escaped - the first taste she would have of life outside the Company. Unfortunately, Elle's father appeared shortly thereafter, luring her back to the Company with a special assignment of great importance. Highly dependent upon her father and wanting to impress him, Elle accepted the assignment and was sent to the Dominican Republic, leaving Peter without so much as an explanation. She hadn't expected to be gone particularly long, and imagined when she returned that life would continue as she'd left it. 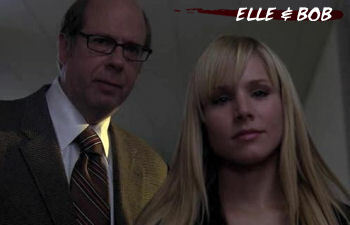 Elle's father had sent her abroad secretly, having seen a Mendez painting depicting her death at the hands of Sylar. In an effort to keep her safe and potentially lure Sylar back to the Company's hands, Bob called in some favours, creating a "decoy" of his daughter to take her place. The decoy was convincing, if a complicated stunt to pull off for so long. In her time in Elle's life, the decoy made friends, developed her relationship with Peter (and then ended it), and was more or less successful when sent on assignment for the Company. The ruse came to a crashing halt when, in late September, the decoy was involved in an altercation at Primatech Research. 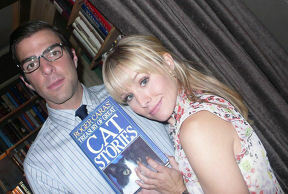 Sylar and Kellie had broken into the building, and the decoy was killed at the hands of Sylar on Level 5. For a few hours, nothing seemed amiss, but when the illusion was dropped and the decoy's body returned to her true form, Bob had to answer for his decisions. Elle was called back from the Dominican Republic shortly thereafter, much to the confusion of her colleagues and former acquaintances. She was only apprised of the situation upon her return, and while she never fully explained the circumstances of her "death" and subsequent return to anyone else, she did explain it to Peter, whom she had reconnected with in an altercation with Sylar which led to the killer's recapture. By visiting Peter to explain her absence and replacement, Elle exposed herself to the catalyst for the Shanti virus. The dormant virus had been passed on to her by proximity to her father, who had contracted the virus during the outbreak earlier that year. 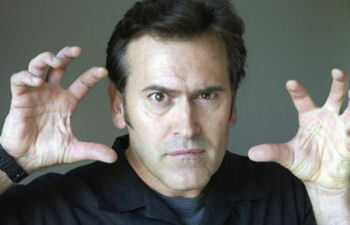 At the same time, she learned of Victoria Pratt's involvement in the creation of the Shanti virus strain. Unfortunately, Pratt was considered "off-limits" to the Company at the behest of Angela Petrelli, the new head of the Company. Elle's illness progressed rapidly, and she called on Cassandra Aldric for a cure, at the guidance of her father. In exchange for the woman's help, and at the instruction of her father, she passed information about Pratt along to Cass with the hope that one of the would-be heroes would seek Pratt out and put a stop to her plans to create a new strain of the virus. When she had recovered from the virus, Elle was visited by Peter, who asked her for a favour: to supply him with Haitian pills for someone who "needed his help" controlling his power. She stole some pills from the Company facility, passing them along with no confirmation on who they were for; still, Peter had made her suspicious enough to demand attention, and she began looking into his life without his (or the Company's) knowledge. It turned out it was easier than expected: in monitoring Peter's activity, Elle was able to track a work order for camera installation to a warehouse on the outskirts of the city. Reasonably certain she knew what to expect when arriving, she went well-armed and broke into the warehouse, nearly killing Sylar before he turned the tables on her. She was eventually released, but not before Sylar had effectively held her hostage and used intimidation to force information out of her. She was tracked down by Peter first, who tried to justify his support of Sylar's attempt to change, and then by Sylar himself, who came to her apartment to apologize for what he had done to her. In a very surreal encounter, Sylar - or Gabriel Gray - and Elle confronted their shared past and spoke of redemption. 2007 was a very strange year for Elle. 2008-01-02: Elle visits an old friend to ask his advice. Subsequently, she's abducted by the Company at her father's orders, left to spend the night on a couch in his office. 2008-01-03: Waking in her father's office, she is confronted by her father about recent events, forcing her to make a surprising decision - leaving the Company. Lost, she pays a visit to Gabriel when she can't find Peter, who finds them on his own a short time later. Elle and Gabriel go into hiding. 2008-01-06: Hiding out in a hotel, Elle and Gabriel are not expecting Noah Bennet to be able to find them - but he does, and he gives them a critical deadline. They don't meet it. 2008-01-12: Elle doesn't take being locked up very well. After nearly a week without a sound from the Company, shee decides to risk a trip out to the store. In the ensuing chaos, Elle shoots someone, effectively ensuring that the Company will come after them now. Gabriel disappears with Hiro, leading to a very distraught Elle when Peter finally catches up with her… until Gabriel comes back. 2008-01-14: Moved to a new hotel, Elle and Gabriel are resigned to their status as captives by choice when Angela Petrelli shows up at the door to shake things up. 2008-01-15: Gabriel leaves to pick up painting supplies to ascertain whether or not Angela was telling the truth; in his absence, Church comes knocking to bring Elle home. 2008-01-19: Having fled to Maine to stay with an "old friend," Elle calls Gabriel to tell him she's safe and overhears his fight with Peter. 2008-01-20: Peter pays Elle a visit in Maine to ask for her help in rescuing Elena from the Company. That same day, Elle returns to New York to check on Gabriel, finding him dead. Luckily, he doesn't stay that way. 2008-01-23: Back in Maine, Elle has lived a short few days in peaceful ignorance of what has been happening in New York, only to have that peace disrupted when Peter and Gabriel show up. 2008-01-25: Elle brings Peter's dog home from the kennel and she and Gabriel settle in to their temporary housing. It goes well for about ten minutes - until Elle has the bright idea to call her father. When the line goes dead, she calls on a Company agent to check on Bob. 2010-06-14: In Paris, Elle runs into Gabriel and they talk. 2010-06-25: Elle returns to NYC after time away in time to stop some convenience store robbers. 2010-06-26: Beginning to run out of money, Elle tries to find a job without much success. Then she goes for a jog in Central Park, only to run into some people. Literally. They go to a bar afterwards, where the action gets a bit.. hot. And no, not in the fun way. 2010-06-28: The eclipse happens at a very inopportune time: on the freeway. Later, at the ER, Elle and Claire have a heart-to-heart. 2010-06-30: Some Evolved meet up at a coffee shop, and they realize two things: they're all Evolved, and none of their powers are working. 2010-07-02: (Part 1 of Elle In The Water) During an attempt at a relaxing bath, Elle gets a phone call that is all but soothing. This wiki page was the brainchild of the previous player of Elle. While much wording has been changed, and some content replaced with things relevant to this player, credit goes to her for originating this page. 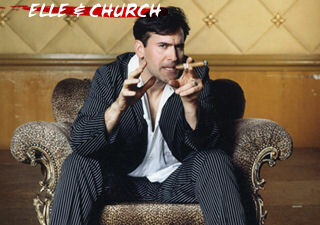 Bob Bishop is the reason why Elle has as many problems as she does today. When she manifested her power as a young girl, he brought her to the Company for testing and experimentation to determine the upper limits of her abilities. Raising her as a single parent under abnormal circumstances, he had her trained to become a Company agent. He didn't hesitate to put her into some dangerous situations, such as assigning her to work with Noah Bennet on the Sylar case. The experimentation he subjected her to during her childhood and adolescence has been largely forgotten by Elle, thanks to Bob's use of the Haitian to erase her memory, but other agents hinted at enough to make her suspicious. She has since discovered some of what Bob has done to her, but much of it is still a mystery. Early in 2007, Bob was informed of a Mendez painting depicting Elle's death at the hands of Sylar. Desperate to keep his daughter safe, he coerced her to go on a mission to the Dominican Republic, despite her flight from the Company. In her stead, he had a "decoy" created with an illusion: another electrokinetic, whose appearance was changed by a cellulokinetic, who would take over Elle's life and deceive Sylar into going after the wrong person. It worked, but when Elle finally returned from the Dominican after her replacement was killed, she was unimpressed with the deception - especially since it meant that she had lost what was rapidly becoming one of the most important parts of her life. After that, nothing was quite the same. Elle convinced Bob that she should be allowed to live outside Company walls, and she was given an apartment from the Company - which Bob had placed under surveillance without her knowledge. In January, Bob confronted Elle about her lies and omissions: she had failed to report back to the Company about her discussions with Peter, stolen medication from the facility, and even had Sylar to her apartment without informing her superiors. Cornered and infuriated, Elle shocked Bob unconscious and fled the Company. They haven't seen each other since. 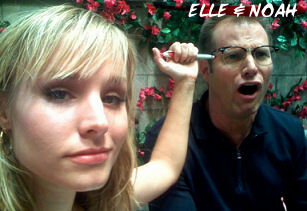 Elle suffers something of a fractured relationship with her father. Having been raised within Company walls for much of her life, she is eager to impress him, thinking that good work and sweet smiles will garner the affection that is otherwise missing from her life. Bob is much quicker to dismiss her actions and chide her for her mistakes than he is to admit that she has done something well. He is distant and cold to Elle, but he is the only family she has; consequently, she demonstrated a blind devotion to him until very recently, despite acting out childishly from time to time to seek attention. At the same time, however, Bob is highly protective of his daughter. It was his affection for her, however poorly conveyed, that ensured that she did not suffer the same fate as other volatile Evolved discovered by the Company. While others with her lack of control and insubordinate attitude would have been locked away for life, Bob used his position of power to train her to be an agent and keep her on a leash; in one sense, he is the reason why she had any life at all, as deprived and twisted as that life may have been. Elle alternates between affection for her father and resentment towards him. Their odd relationship has often had one pulling away while the other reached out: if Elle is seeking attention and approval, Bob is dismissive and unimpressed; if Bob is being affectionate or showing concern, Elle is resentful and cold. Still, deep down they do love each other, complicated or not, and while Elle has left the Company, she has not forgotten her father. Elle first met Peter when he was being held in a cell at the Company. She visited him frequently, her dependent personality quickly latching onto him and leading her to question the Company's mission. He took her with him when he escaped the Company, subsequently becoming her first (and only, to date) boyfriend. Unfortunately, her father had a mind to send Elle away, and by the time Elle returned, her relationship with Peter had long since ended thanks to the illusion left in her place. When she visited to explain the illusion and her disappearance for months, she contracted the Shanti virus from Peter, resulting in an ongoing illness for which Peter feels responsible. In the end, it was through Peter and his contacts that Elle was cured. Balancing the scales, Peter came to Elle to ask for a favour, resulting in what became the most confusing month of Elle's life. She isn't quite sure where they stand now, but Peter is helping to keep her safe. Peter has the distinction of being Elle's first love; after a lifetime of being used and manipulated, for Elle to meet someone who genuinely cared for her was significant. He opened her eyes to much of what she was missing in the real world, and though they're no longer together, she will be eternally grateful to him for trying to give her the life she'd never had. He made her question her life as an agent - but more than that, he made her realize that her own perception of "Right" and "Wrong" is not infallible. While before she met him, her moral compass was askew (if it ever existed), he was responsible for nudging it back in the right direction. This has forced her into a permanent state of conflict regarding her actions as she struggles to do the "Right Thing" - and when the going gets rough, she just might wish he'd never had such a powerful influence on her. Ultimately, Elle still cares very strongly for Peter; her feelings for him were significantly deeper than infatuation, and her father pulling her away from her best chance at a normal life has left behind a void. She will very likely love him for a long time yet, and that love is one of the reasons why she will go out of her way to help him, risking life and limb. Elle and Gabriel have a sordid, convoluted past thanks to the Company's involvement. Once upon a time, Elle had started to develop feelings for Gabriel, until she was forced to double-cross him, effectively turning him into a serial killer. 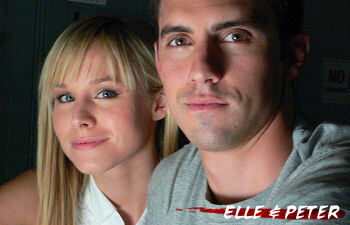 As Sylar, he killed whom he thought to be Elle only to later be captured by the real Elle. When Elle discovered who Peter had been helping, she stormed the warehouse where Gabriel was hiding, intending to kill him — and unable to do so. Ashamed at what he had done to her when she was at his mercy, Gabriel came to apologize to Elle. Though she was reluctant to believe he had changed, she ultimately accepted the olive branch, even turning to him for help when she ran from the Company. They're now in hiding, and suffice it to say that their relationship is very… surreal. Woo, lots of information will go here. This will be long, twisted, conflicted, and angsty. For now, I think we can leave it as, "If Elle and Gabriel were on Facebook, their Relationship Status would be listed as: 'It's Complicated.'" That about covers it. This will be updated eventually. Gah. Sooooo lazy. A bunch of stuff goes here! About their friendship and how she looks up to him and how FREAKING TRAGIC it was that she left and he came after her! Yes. This will be updated eventually. A bunch of stuff goes here! About how Elle alternately respects and hates Noah Bennet. And his daughter. ESPECIALLY his daughter. Who gets her own tab later. Blah, blah, blah. The relationship between Elle and Cass is, like so many others, twisted and rocky. Not that it's Elle's fault; she didn't even meet the woman until relatively recently, but the woman living her life for several months certainly did enough to make Elle seem like a psychopath. Elle was assigned to gather information on Cass and her operations, which she has been doing as surreptitiously as possible. In the process, she's come to know more about Cass and what it means to be selfless, disrupting Elle's view of the world and making her life more complicated. As it stands, Elle has respect for the woman and is indebted to her for having provided the cure for the Shanti virus. A bunch of stuff goes here! I'm not even going to pretend I have more to say than that right now.